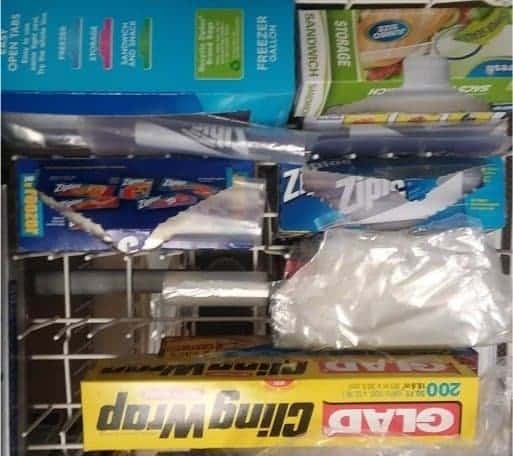 This is off the subject, but I was impressed with my friend, Susie’s unique ideas to create more kitchen storage space. Because Susie is short on storage space in her kitchen, she did some clever brainstorming to create more kitchen storage space. Susie is single and dirties very few dishes so it is easier for her to quickly hand wash them. Since Susie prefers to hand wash her dishes, her empty dishwasher provided some needed extra kitchen storage space. 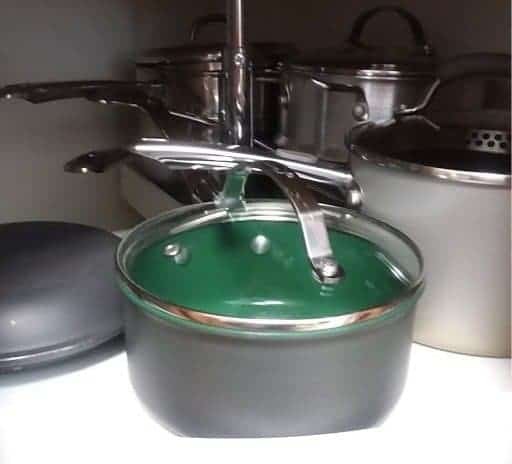 She uses the bottom rack to store knives and other large kitchen utensils. 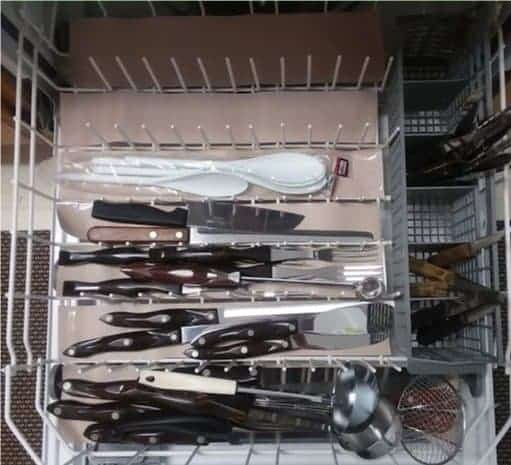 Notice how she places the small knives in the dishwasher silverware basket while placing the larger utensils in the larger areas. She also organized all her kitchen wraps in the upper dishwasher rack to cleverly create more kitchen storage space. A great, handy unique spot to grab various kitchen wraps! In most homes I have visited, people use their lazy Susan to store flour, sugar, and other baking items. Since Susie doesn’t bake, she uses her lazy Susan to create more kitchen storage space by storing her pots and pans, and she loves it! She can easily move the turntable to get the pot she needs without moving other pots and pans around. Susie wonders why she didn’t think of using the lazy Susan to store her pots and pans before. I really like Susie’s ideas to use her empty dishwasher and lazy Susan to organize and store kitchen utensils, wraps, and pots/pans to cleverly create more kitchen storage space. should be shared across the net. Disgrace on Google for now not positioning this put up upper!